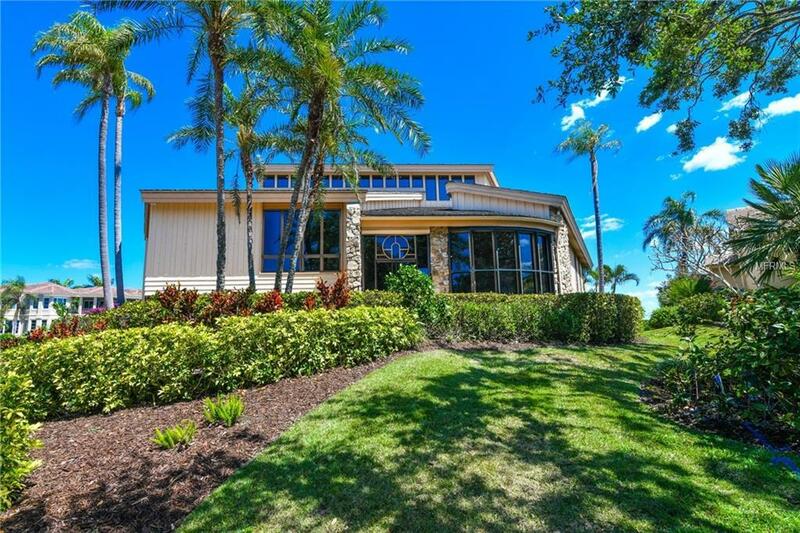 Recently reduced $500K! 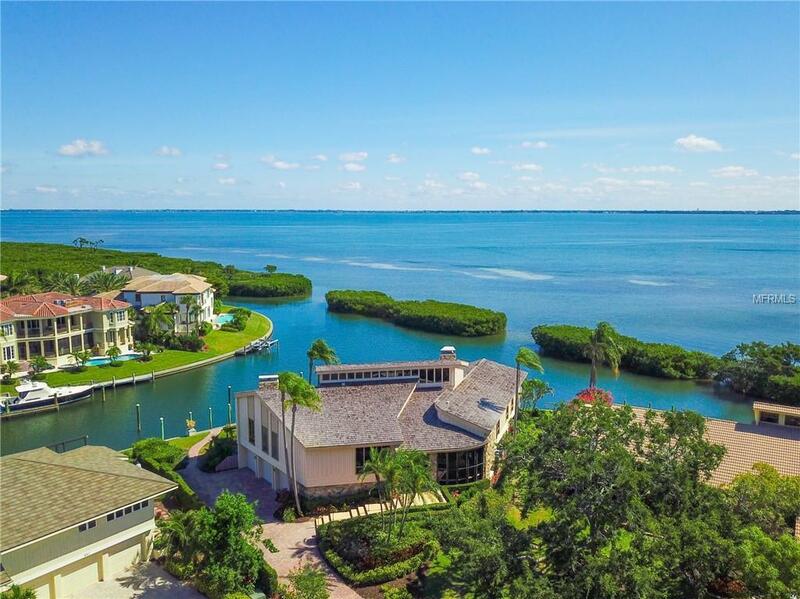 Now is your chance to renovate this classic contemporary home or build on this premier bay front location in the exclusive gated neighborhood of Bay Isles Harbor Section on Longboat Key. 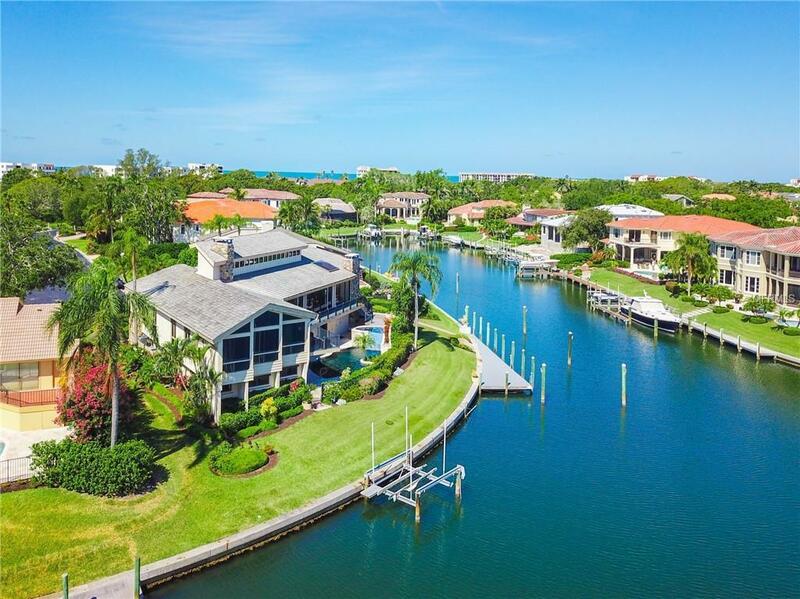 The property is on 175 feet of waterfront with two protected, deep water docks, one that can handle up to a 70 yacht and the other that is ideal for a smaller power boat, sailboat, jet skis or kayak launch. The interior of the home is dramatic from the minute you enter. 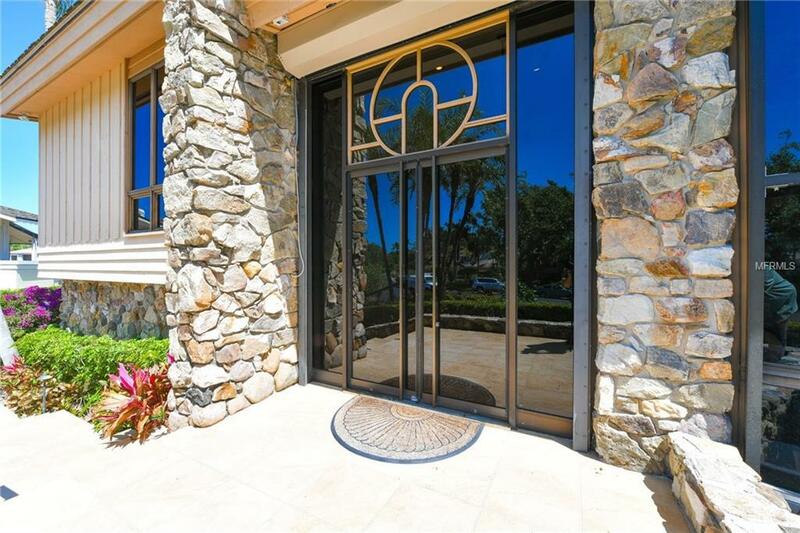 Custom glass front doors open up to the floating staircase that takes you to the main living area with gorgeous Sarasota Bay views as your backdrop. Designed with an open floor plan, you can create intimate areas for dining, cooking, entertaining, relaxing and working. Architectural features include vaulted wood ceilings, floor to ceiling river rock walls, rich hardwood floors and clerestory windows and skylights to bring in the natural light. Two ensuite bedrooms and an office nook round out the main level. Enjoy sitting out on the large balcony while watching the dolphins splash in the water or cool off in the nicely landscaped pool with a waterfall feature. Includes three car garage and elevator. Enjoy the Bay Isles Beach Club private beach access. Only minutes to shopping, restaurants and the LBK Club. Additional Water Information Two Docks One Dock Can Handle Up To 70' Yacht Other Dock Has Lift. Deep Water And Easy Access To Bay. Hoa Maintains Seawall. Additional Lease Restrictions One Year Minimum Lease. Pet Restrictions Pets Must Be On Leash When Outside.